After finally getting around to watching the new Star Wars film, I originally wanted to write a piece on the debacle surrounding its release and reception — a vocal conflict between self-described “fans” and mainstream critics. Opinions were strongly divided, and expressed with great fervour on both sides, the former calling for the heads of those involved in the production due to its supposedly blasphemous treatment of canon and characters, and the latter largely adulating its original take on tropes and conventions which have by now become deeply woven into the fabric of popular culture. 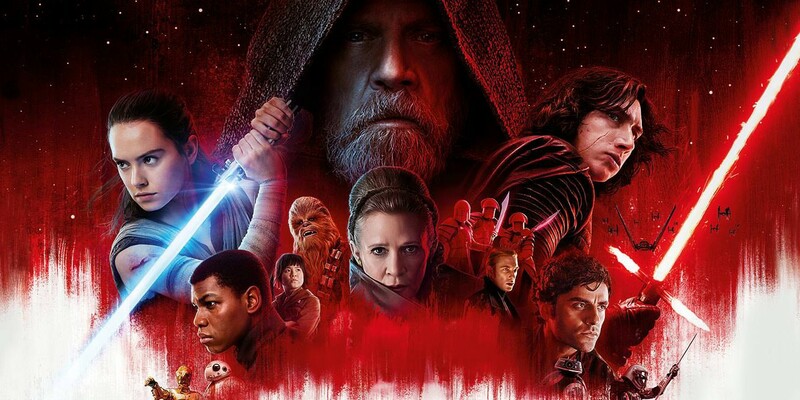 While I have seen all the major Star Wars films like many people, I don’t necessarily consider myself a “fan” particularly given how…dedicated the Star Wars fandom can be, and by now, there has already been innumerable reviews and reviews of reviews and analyses and counter-analyses and reviews of reviews of analyses of counter-analyses in the 24-hour cycle of Internet media. You get the idea. Hence, I felt there wasn’t much more I could say here that hasn’t already been said. However, upon closer inspection, there was much more happening here than a bitter war of words between fans and critics of a film. On the one hand, there was a marked divide between the reception from professional critics and the self-described fanbase. In recent years, through online platforms, fan communities have found a new voice and influence on the wider culture industry, and over time the vocalisations of their demands have become more strongly felt. On the other hand, this expression of outrage and tantrum-throwing as witnessed after the Star Wars release was also the latest in a series of outbursts of what has been termed as “toxic nerd culture” or “toxic fan culture”. However, is this really something new, or is it just plain old toxic masculinity with a new face that has taken form after a century of feminism proliferating mainstream discourse? And how the hell did we get to the point where grown men are uploading hours-long enraged tirades on the Internet about how their favourite fiction about space wizards has been desecrated, as if their childhood has been taken away from them forever? The Internet has produced a new kind of critic. When it comes to music, film or any for of art, critics were traditionally people who were educated in their respective fields but, as the old adage goes, perhaps were not quite good enough to be artists themselves. However, when it comes to the new generation of critics on their blogs or on YouTube, some of whom are incredibly popular, that role has now been taken over by the “fan” or the “nerd”. In the case of film critics, channels like CinemaSins and Screen Junkies among others have created a culture of nit-picking plot points rather than analysing the symbolic or thematic elements of films. This new type of review is more akin to listing a series of complaints about specific elements of the plot, rather than the directing, acting, cinematography, or any other factor one might look at when appreciating a film as an art-form. Furthermore, due to YouTube’s recommend algorithms prioritising trending topics, there is a constant rush to review the latest releases and leaks at the shortest notice, giving no time for actual meaningful reflection and critique. While some traditional establishment critics like Mark Kermode have made the jump to YouTube, the majority haven’t, and so given the immense popularity of these channels, it’s hard to deny their influence on the younger generations both as tastemakers, and in the way they watch films in the first place. The problem here is that in many cases these YouTube critics miss the point of the film entirely, which is no more apparent than with the case of The Last Jedi. For example, almost all of the negative reviews had no mention of the gorgeous visuals, great acting, and intelligent storytelling, but instead mostly rant on about the bad decisions that various characters make, completely oblivious to the film’s central theme of attaining personal growth through embracing failure. 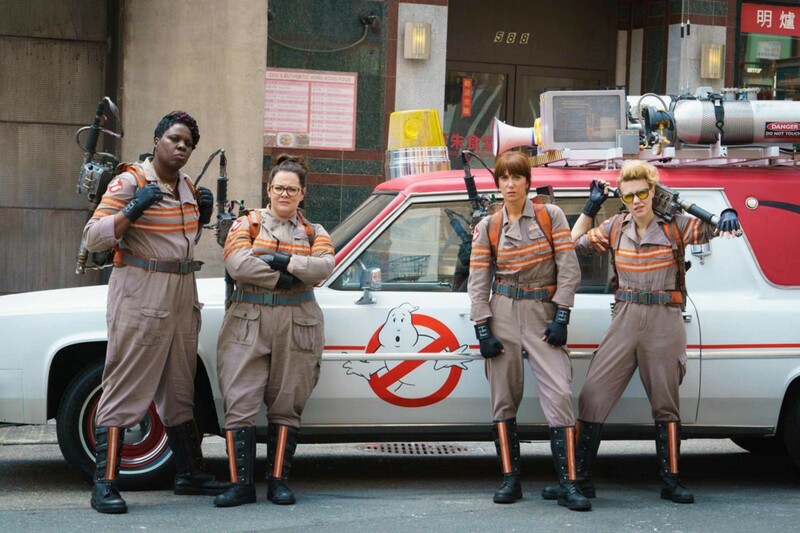 This is hardly the only example though — whether the meltdown surrounding 2016's all-female Ghostbusters reboot or the constant and vocal battles between Marvel and DC fans whenever a new comic book film is released — we are surrounded by a perpetual atmosphere of outrage by fan communities. While on the surface this may seem mostly harmless, when you see similar patterns of misogyny, harassment, abuse and even death threats which emerge from this cacophony time and time again, there seems to be something much more insidious happening here. Now the fact that masculinity is in a state of crisis in the year 2018 is hard to ignore. The traits and roles of hegemonic masculinity as defined in the 20th century have changed rapidly over the course of recent decades, as more and more women have entered the workplace and into positions of decision-making authority. Add to the mix a global financial crisis for the past decade, and you get a generation of young men, many of whom are still living at home, who are not only stuck in a permanent state of adolescence, but also greatly confused as to which dimensions of masculinity to aspire towards. On the one hand many of the behaviour traits associated with traditional hypermasculinity, such as physical violence, sexual aggression and emotional stoicism have by-and-large been castigated in mainstream contemporary Western society, the underlying attitudes which promote such behaviour, and thus the systems of oppression that they propagate, haven’t changed quite as much. Capitalism as a system is built on an internal contradiction — that it needs constant innovation while maintaining a core relationship between worker and capital. It’s a system predicated on a constant synthesis of progression and conservatism, needing to reinvent itself at every possible stage. Similarly, systemic forms of oppression such as sexism under the confines of capitalism also reinvent themselves while upholding a fundamental asymmetry of power. Today, in the post-industrial nations of the world, we are still enjoying the gains from the movements of emancipation and civil liberty despite being subject to a more oppressive form of capitalism than ever seen before. Our everyday lives are fully subjugated to the cold impersonal will of capital, and the only seeming autonomy we have is through our consumer choices. Within the pervasive alienation under consumer capitalism, as traditional institutions and relationships are in a state of constant flux, out own identities become completely contingent on what we buy. I shop therefore I am. At some point in the latter part of the 20th century, there was a corporate appropriation of the identity politics which came out of the 80s, and we see much of that legacy today. Particularly as women and minorities entered the workplace and had more disposable income, entire arms of marketing departments were developed to cater to this new market, and the easiest way to achieve it was to appeal to their identities. Thus the modern confluence of toxic masculinity around the subcultures of gaming and other nerd culture is in many ways the culmination of the flipside of this development. What do comic book movies, video games and Jordan Peterson all have in common? They all tell the story of a heroic journey, giving a trajectory, a purpose to the younger generation of men, particularly those who weren’t born at a time when sexism and patriarchal dominance was much more overt, who feel left out by liberation movements. We are also living in a time when the nerds basically won the culture war. Silicon Valley rules the world, and the kids who were made fun of when the trope was popularised in the 80s are now the bosses, setting the corporate agenda. It’s also no surprise therefore that the hallmarks of nerd subcultures from the same era — video games, comic books, sci-fi/fantasy — are now in themselves enormously powerful industries. It was because of the continued marketing of male identity through nerd culture throughout the 90s and 00s that when games developer Zoe Quinn broke up with her boyfriend in August 2014, and he wrote a spiteful blogpost about her which went viral, that led to the unholy mess that was GamerGate. 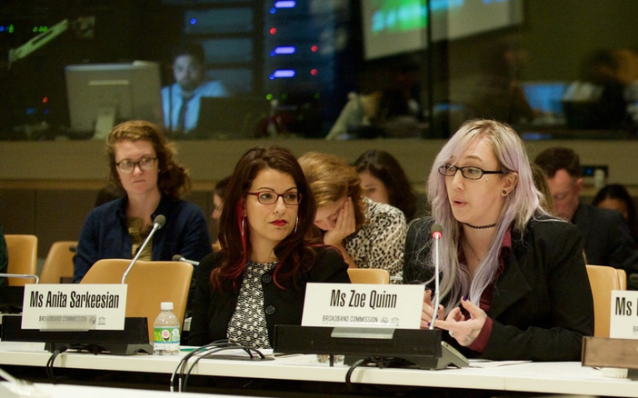 The blog post accused Quinn, among other things, of having an affair with a games journalist for positive reviews, and so initially what was presented as an uproar at the drop in standards in games journalism very quickly became a launching pad for an organised campaign of harassment and abuse against women working in the gaming industry. It was as if, for a generation of lost young men, all their memories of rejection and heartbreak from women culminated and found a focus to direct the resulting rage towards in women like Quinn, Anita Sarkeesian, Brianna Wu, and many others. This toxic cauldron of hate is also where some of the premier hypemen of the new Right also emerged from, such as Milo Yannopoulos and Mike Cernovich, who a couple of years later were central figures in the online campaigns for Trump. Women were seen as invading a “male” space in gaming and computer culture, and while GamerGate certainly didn’t succeed in keeping women away from these spaces, it did result in the coalescing of this new toxic masculine identity under the umbrella of nerd culture. Under late capitalism, our lives are entirely subject to the inhuman will of global capital, and there is very little we can do about it individually. Moreover, the global financial crisis of 2008 has led to an entire generation (or two) of kids being left with very few options, at least in comparison to decades past. And the greatest existential threat facing our species is climate change, the incalculable effects of which will truly unravel over the course of our lifetimes at a scale that is hard to imagine. It isn’t difficult to see why there is a longing to see these unimaginably complex problems at a human level once again, when you can just blame your life’s problems on the girls that have come to play on your side of the playground, when a surrogate father-figure like Jordan Peterson can tell you to clean your room and stand up straight, and put you on a path of some heroic mythical journey. Stuck in a perpetual adolescence, refusing to embrace the rapidly changing world around you, you pathologically long for a time of comic books and video games from your childhood, particularly before they were tainted by the forces of “Postmodern Neo-Marxism”, and then flocking to YouTube to go on pedantic multi-hour rants about how these changes are happening. For me The Last Jedi was probably the most memorable Star Wars film I’ve seen yet, or at least the most coherent in terms of a thematic and narrative arc, largely also because it chooses to question conventions and tropes that were deemed sacred. As Yoda and Luke Skywalker watch the last Jedi temple burn down to the ground, that is in essence the final vestiges of a more innocent world, the memory of a simpler time burning down with it. Perhaps it’s time that we too as men learned to let go of rosy-eyed memories of our past, and as the Dark Professor says, grow the hell up. Follow my crappy Twitter account here.